Typically, Broadway librettists, composers and lyricists will leave the task of bringing their musical to life to the actors. But when the creatives behind a musical step into the limelight, we are presented with something extraordinary. Here are 12 instances Broadway creatives starred in their own musicals. Not to be confused with the singer of "It's Not Unusual," Tom Jones starred as the Old Actor, Henry in his own musical, The Fantasticks. He also wrote the book and lyrics, and continued to tinker with the show until its closing.... 57 years later. The show became the longest running musical of all time. The man behind one of theatre's biggest cults, Richard O'Brien wrote the book, music and lyrics and also starred as Riff Raff in The Rocky Horror Show. He also reprised his role in the 1975 film adaptation. In 1998, book writer John Cameron Mitchell starred as the title role in Hedwig and the Angry Inch. He also replaced Neil Patrick Harris in the most recent Broadway revival. Bob Martin, along with Don Mckeller, wrote the book of The Drowsy Chaperone. The musical opened on Broadway in 2006, with Bob Martin as the Man in Chair. 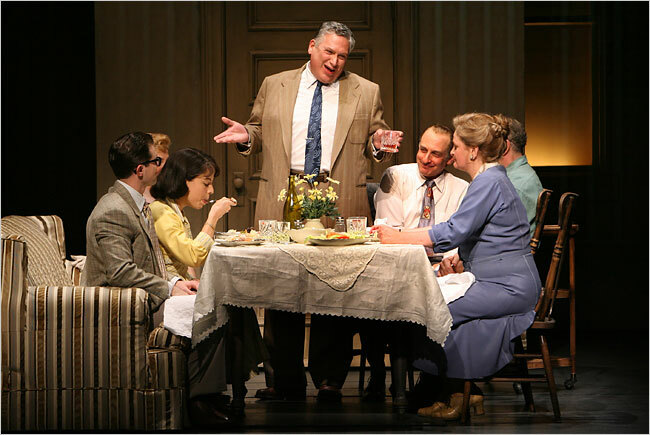 In 2007, book writer Harvey Fierstein starred as Uncle Winston in his Broadway musical, A Catered Affair. Lin Manuel Miranda made his Broadway debut in 2008 as Usnavi in In The Heights. He also wrote the music and lyrics. Based on the music of Green Day, American Idiot opened on Broadway in 2010. Green Day frontman Billie Joe Armstrong took over the role of St. Jimmy for a brief but impressive stint. In 2011, original book writer Harvey Fierstein assumed the role of Albin in the Broadway revival of La Cage Aux Folles. Multi-Grammy award winner Sting composed the music to the Broadway production The Last Ship. In 2014, he went on to play Jackie White until the show closed. With music and lyrics by mastermind Dave Malloy, Natasha, Pierre and the The Great Comet opened on Broadway in 2016. Since the show's development, Malloy often performed as the lead role, Pierre. Composer, lyricist and librettist Lin Manuel Miranda starred as Alexander Hamilton in his second Broadway musical, Hamilton. Waitress opened on Broadway in 2016 with music and lyrics by singer-songwriter Sara Bareilles. Shortly after, Bareilles joined the cast as the show's main character, Jenna. Be sure to check out the Actor Aesthetic podcast. New episodes every Monday!